With great pleasure and pride we announce that Nobel Laureate Kailash Satyarthi from India will be this year’s honoree at the Robert F. Kennedy Human Rights Switzerland Gala at Quellenhof Resort on the 26th of October 2019. Mr. Satyarthi is also featured in our education initiative “Speak Truth To Power” - which is available to all students in Switzerland and around the world. Here is his portrait by Pulitzer prize winning photographer Eddie Adams. 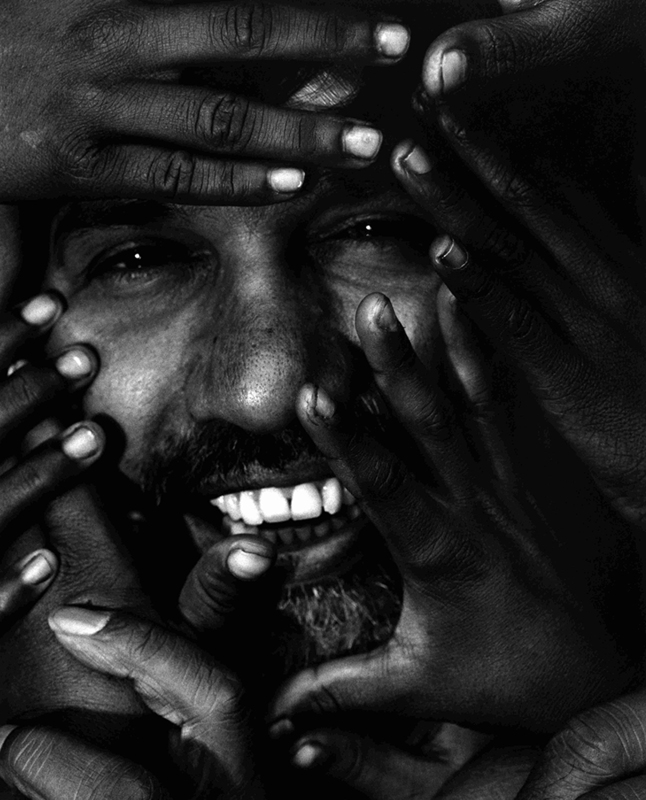 Kailash Satyarthi is an Indian children's rights activist. He is a Nobel Peace Prize recipient and founder of Bachpan Bachao Andolan (lit. Save Childhood Movement), the Kailash Satyarthi Children’s Foundation, Global March Against Child Labour, and GoodWeave International. To date, Kailash Satyarthi and his team at Bachpan Bachao Andolan have liberated more than 87,000 children in India from child labour, slavery and trafficking. In 1998, Satyarthi conceived and led the Global March against Child Labour, an 80,000 km-long march across 103 countries to put forth a global demand against child labour. The movement became one of the largest social movements ever on behalf of exploited children. The demands of the marchers, which included children and youth, were reflected in the draft of the ILO Convention 182 on the Worst Forms of Child Labour. The following year, the Convention was unanimously adopted at the ILO Conference in Geneva. Kailash Satyarthi has been a member of a UNESCO body established with the goal of providing “Education for All” and has been on the board of the Fast Track Initiative (now known as the Global Partnership for Education). Satyarthi serves on the board and committee of several international organizations including the Center for Victims of Torture (USA), the International Labor Rights Fund (USA), and the Cocoa Foundation. Satyarthi was among Fortune magazine’s ‘World’s Greatest Leaders’ in 2015 and featured in LinkedIn’s Power Profiles List in 2017 & 2018. His work has been recognized through various national and international honors and awards including the Nobel Peace Prize of 2014, which he shared with Malala Yousafzai of Pakistan. More recently, Satyarthi led a nationwide march, Bharat Yatra, in India covering 19,000 km (12,000 mi) in 35 days, to spread awareness about child sexual abuse and trafficking. We are very much looking forward to Mr. Satyarthi’s visit to Switzerland in October. To receive an invitation to the gala event, please send us your contact details to info@rfkhumanrights.ch. Speak Truth To Power inmitten von "Hope"
Ein Auszug unseres Portfolios des Pulitzer-Preiiträgers Eddie Adams an der grössten Werkschau für Fotografie in der Schweiz. Die Fotoausstellung Speak Truth To Power war von 22. Oktober 2018 bis 8. Januar 2019 an der Kantonsschule Enge in Zürich zu sehen. Ehrengast war die Aktivistin Librada Paz. Die Aktivistin Librada Paz hat uns in der Schweiz besucht, um an Diskussionsveranstaltungen an Schulen teilzunehmen. Die Robert F. Kennedy Stiftung für Menschenrechte als offizieller Bildungspartner des HUMAN RIGHTS FILM FESTIVAL Zurich. Die Fotoausstellung Speak Truth To Power war zu Gast an der Kantonsschule Obwalden in Sarnen. Die russische Menschenrechtsaktivistin war zu Besuch am Freien Gymnasium in Zürich. Der renommierte Korrespondent aus dem Weissen Haus war zu Gast in Zürich.